The state of North Carolina is a golf haven highly coveted by avid golfers from across the country, mainly for its vast selection of more than 400 different courses. From municipal-owned to semi-private to country clubs, from links-style to parkland-style, there’s bound to be a course that will suit you here as the state offers something for everybody. Even better, golf can often be played all-year round due to the subtropical climate of the state, leading to perennially sunny weather punctured only by brief rainfall. A defining feature of the Old North State, and perhaps what drew many golf course architects to it, is its dynamic landscape and widely varied topography. Comprised of the Appalachian Mountains and its Blue Ridge and Great Smoky Mountains to the north and west, the gently rolling hills of the Piedmont Plateau to the central south, and the Coastal Plains of the east accented by numerous waterfalls, rivers, and streams, the stunning natural landmarks and lush greenery of secluded, upscale North Carolina has kept it in the limelight for many tourists and travelling golfers alike. It is home to many distinguished, high-profile golf courses, often designed by award-winning architects, such as Tom Fazio’s Wade Hampton Golf Club showpiece and Donald Ross’ Charlotte Country Club course, Roaring Gap, and Pinehurst No. 2. The state is also notable for hosting several major golf events throughout the years, such as the 1951 Ryder Cup and the more recent 1999, 2005, and 2014 U.S. Open Championships. However, on rare instances when the weather becomes unbearable to spend a few rounds out on the course, be it the sweltering heat or the unrelenting downpour, there are numerous indoor golf facilities that can be found all over North Carolina that you can run to. With the groundbreaking technology available today, virtual golf provides high-definition, ultra-realistic simulation of authentic outdoor experiences - from the first drive to the last putt - that feels vividly real that you will likely forget that you’re actually indoors. 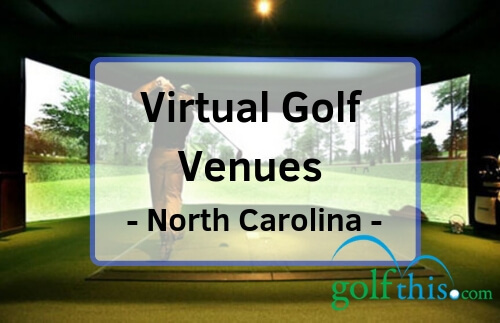 Listed below are some of the best virtual indoor golf facilities in North Carolina. 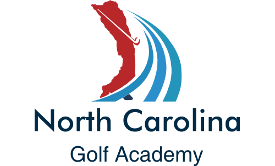 First off our list is North Carolina's very own best in state indoor golf facility, the North Carolina Golf Academy. Located in northern Greensboro, NCGA is well-known for its excellent teaching facilities. With some of the game's foremost experts and teachers on staff, you can avail of private lessons from any of the four PGA Professionals on-duty. Coaches will tailor their teaching methods and instructions to fit your personal learning style and work hand-in-hand with you to develop a lesson plan that’s customized to meet your specific needs. It's no wonder that students at NCGA boasts of dramatic progress, better retention, and vastly improved scores with just a few lessons here. North Carolina Golf Academy is equipped with two hitting bays, both with their very own launch monitors and golf simulators, as well as a single large indoor putting green for practice. You can relax and play a few rounds on over 20 of the nation's most elite golf courses, all without having to leave the comfort of the sheltered indoors. NCGA also hosts Golf Challenge and Long Drive contests for patrons to enjoy with friends and family, as well as junior golf camps to teach younger players about improving their course strategy, full swing, short game, putting, and more. A global sports and entertainment industry established in 2000, Topgolf Charlotte is a single branch in their network of virtual golf centers that’s rapidly expanding all over the world. TopGolf offers a unique experience as it fuses a top-notch sports bar with a variety of fun recreational activities in all of their sites, including bowling, darts, and indoor golf. It flaunts more than a hundred climate-controlled hitting bays and over 200 HD flat screen TVs, all situated in private rooms with free wifi connection. You can also enjoy delectable meals at their full-service restaurant, relax at the rooftop terrace and stay warm by the fire pit, or book one-on-one lessons with their PGA Professionals on duty to help you improve your game. The next entry on our list, representing the City of Oaks, is Turf's Up OBX. 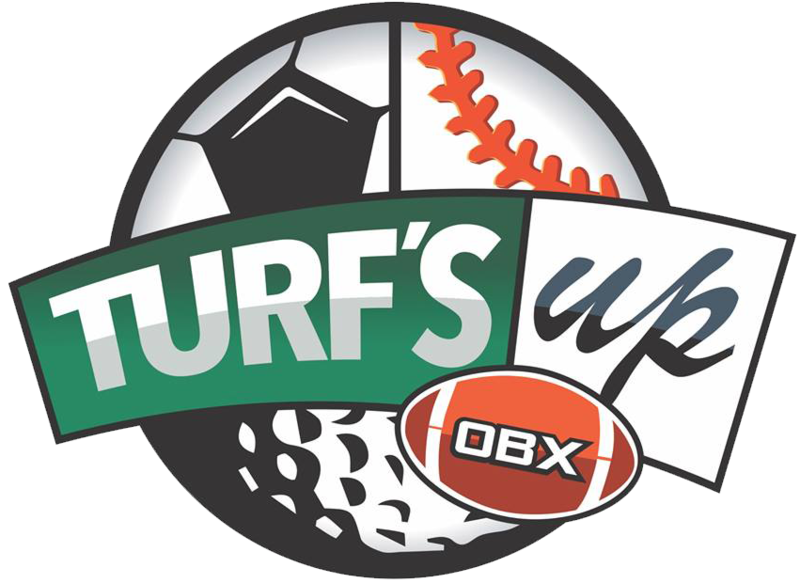 A Raleigh-based indoor golf center and entertainment venue, Turf's Up offers a one-of-a-kind sports club that integrates indoor golf, baseball, soccer, football, hockey, and many more using their state-of-the-art technology and facilities. For golfers, there are up to four hitting bays available for rent, with ultra-realistic, high-definition golf simulators to provide an authentic experience with 30 world-famous golf courses to choose from. Guests can play, practice, and even compete with family and friends as game bays can accommodate up to 6 players. You can also arrange private lessons with any of their in-house professional golf coaches if you are interested in further honing your skills. For variety, you can also enjoy and unwind with games like Zombie Dodgeball, Home Run Derby, and a number of fun carnival games on their flat screen TVs. Being a family-friendly facility, Turf's Up caters to both kids and adults alike and has something to offer for everybody. Other amenities include areas for indoor baseball, football, hockey, and soccer. There's also a snack and beverage bar on-site that serves light food (appetizers, snacks, finger food) and alcoholic beverages. Turf's Up is an excellent interactive venue that can be rented out for parties, corporate events, fundraisers, team building activities, and other special events. Walk-ins are welcome, but considering the limited number of game bays it would be advisable to book a schedule in advance. If you’re looking to play a few light-hearted rounds of golf to kick back and relax, perhaps to get your kids interested in the sport as well, look no further than Rocky Mount’s very own Mini Putt Family Entertainment Center. With a humble but serviceable miniature golf course that’s simple and straightforward, great for learning junior golfers to play and practice on, the Mini Putt Family Entertainment Center will also delight you for hours on end with its other amenities on offer. Foosball, air hockey, and all your favorite arcade games are here, with a quaint little event space that’s just perfect for hosting children’s parties. Introduce your kids to the Mini Putt Family Entertainment Center and you just might have a future golfer in no time. Previously known as The Raleigh, NC Golfsmith store, Raleigh Golf Galaxy is more than just another sports equipment shop. 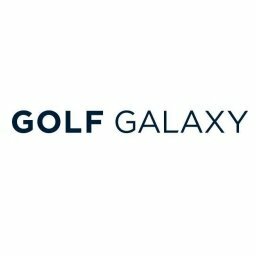 Though the former is its core business, Raleigh Golf Galaxy is also closely associated with GOLFTEC, a world-class training center with numerous branches nationwide and has recently begun offering private lessons and professional golf instruction of its own. Staffed with well-trained PGA Professionals and an all-grass driving range to boot, Golf Galaxy is among the state's most promising indoor golf facilities, set amidst an expansive pro shop with a vast inventory of golf clubs, golf balls, sports apparel and many more. 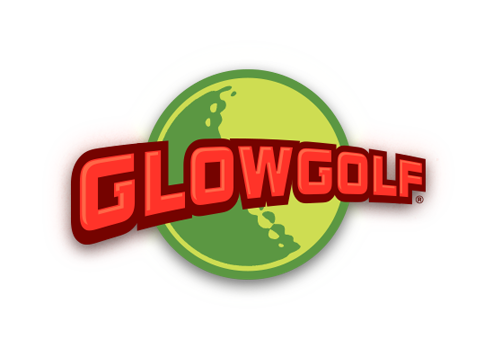 Glowgolf Mini Golf is a nationwide sports and recreation brand with 35 branches in 19 different states, including one located inside the Independence Mall of Wilmington, North Carolina. A unique entry on this list, this 18-hole indoor miniature golf course features a neon, glow-in-the-dark layout adorned with several cute and quirky obstacles kids are sure to love. Hung up on the walls are lovely glow-in-the-dark art pieces that add to the ambiance of the facility. Also available is their Lazer Maze, a daring adventure through a complex maze riddled with a web of neon lasers that must be completed under time limit. All in all, Glowgolf Mini Golf is an excellent choice for a memorable day of family-friendly indoor golf. Filled with plenty of prestigious, high-profile executive and championship courses that are often the handiwork of legendary architects, North Carolina is among the country’s most beloved golf destinations - thanks to its pleasantly sunny weather and diverse topography, making for numerous challenging but exciting layouts. When the cards aren’t in your favor, however, the state offers the perfect solution in the form of virtual indoor golf if the weather outside just doesn’t want to cooperate. It’s possible to practice and play even amidst un-ideal outdoor playing conditions, as North Carolina also offers numerous high-tech indoor facilities and cutting-edge training centers. While few in number, virtual golf is a growing industry that is sure to flourish in the golf-loving state of North Carolina. The featured entries above are simply the most prominent indoor golf facilities that we have discovered at the moment, but some hidden gems may still be out there while more are sure to come in the near future. If you happen to stumble upon an excellent virtual golf center we may have inadvertently left out on this list, leave us a message and we’ll get back to you as soon as possible.